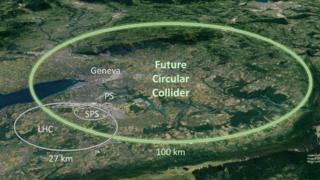 The Future Circular Collider could be Europe's £20bn successor to the existing Large Hadron Collider. They really are trying to create a black hole aren't they! Isn't that what we all try? They should build one along the arctic circle, 24859.82 miles (40008 km).